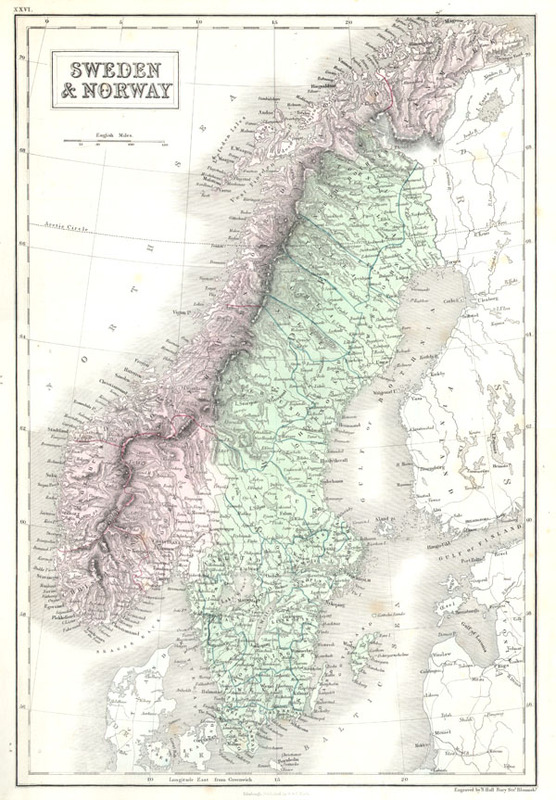 A fine example of Adam and Charles Black's map of Scandinavia. Consists of the Scandinavian nations of Norway and Sweden along with parts of Denmark and Finland. Fine original hand tinting in green and purple pastel. Engraved by S. Hall for the 1851 Edition of Black's General Atlas. Fine or perfect condition. Original platemark visible. Blank on verso. Wide clean margins. Printed on heavy stock.